Why attend a Postgraduate Open Evening? Postgraduate open evenings are a way of finding out more about your options once you have completed (or nearly completed) an undergraduate degree. By attending an open evening and chatting to current students and teaching staff, you will get a feel for the university and its master’s and PhD degrees, and you will hopefully leave the event knowing whether a postgraduate degree is for you. What happens at an open evening? Academics, current students and support staff are usually located across a series of stalls, so you can chat about your interests and learn about the opportunities and learning experiences on offer with each programme. Don’t worry if you are shy – there are always plenty of current students on hand to introduce you to the right people. Depending on your interests, there are often a broad range of programmes for you to choose from. By going along to an open evening, you can chat about your interests and your plans for the future, and find out which programmes are most suited to you. Top tip: If you already have an idea which programme or subject area you’d like to study, go ahead and ask anything you like about the programmes. No question is too big or too small! It’s important that you like the campus as much as you like the programmes, because you could be spending a lot of time there! Make sure you take a tour of the building so you can be sure that you like the atmosphere and you are satisfied with the facilities. Top tip: When you are on the tour, why not ask your guide about the local area, or about everyday things like where to get the best coffee? At Loughborough University London, a postgraduate programme isn’t all about the degree. The networking opportunities, industry exposure and lively social events make the experience so much more than that. But don’t just take our word for it – current students will be on hand throughout the evening, and will happily share their experience both inside and outside the classroom. Don’t be afraid to ask for their honest opinion! Did you know: Loughborough University has an excellent reputation for student experience. In fact, we have topped the Times Higher Education (THE) Student Experience Survey eight times – more than any other UK university! Many universities offer opportunities to develop your skills and enhance your employability. At Loughborough University London, our postgraduate degrees include guest lectures, workshops, networking sessions and careers advice as part of the curriculum. By engaging with the teaching of your degree, you will have developed the necessary skills and experiences, as well as built the industry connections you need to further your career. Head to the careers stall or speak to current students to find out how their degree is helping them to meet their future career goals. Did you know? 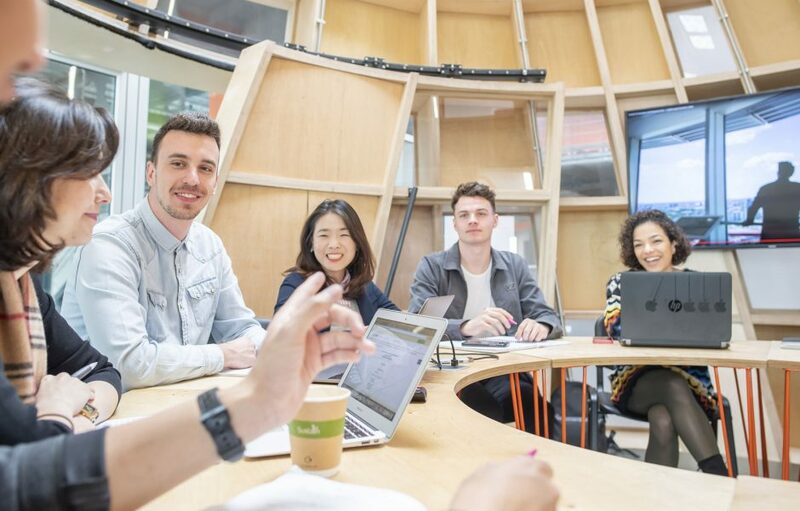 In 2019, Loughborough became the top university in the UK and Europe for employer-student connections (QS Graduate Employability Rankings). If you’re interested in visiting Loughborough University London, the next Open Evening will be on Thursday 14 March, 5pm-7pm.